Well, who knew 2 weeks would fly by so fast! 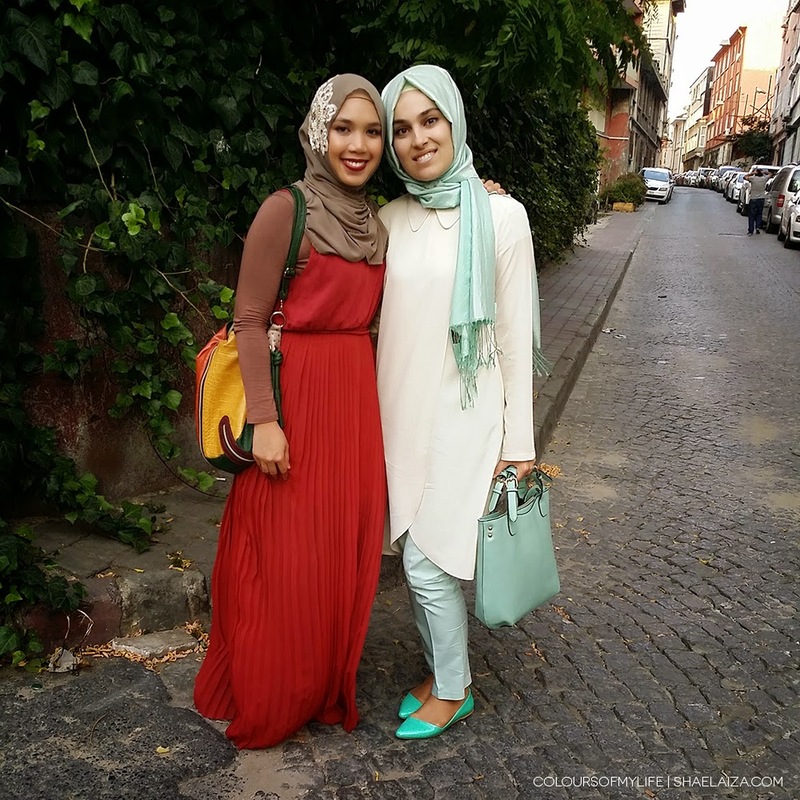 My first post on Turkey was indeed published 2 weeks ago but I'm back and roaring to tell you more about this fascinating city called Istanbul. In my first post I mentioned that we joined 2 tour sessions by She Tours. This post covers the second tour which was a full-day one. After a discount from Mehmet, our hotel manager at The Sultanahmet Suite Life, the tour costed us 55 Euros per person. The original price was 70 Euros per person, if I'm not mistaken. 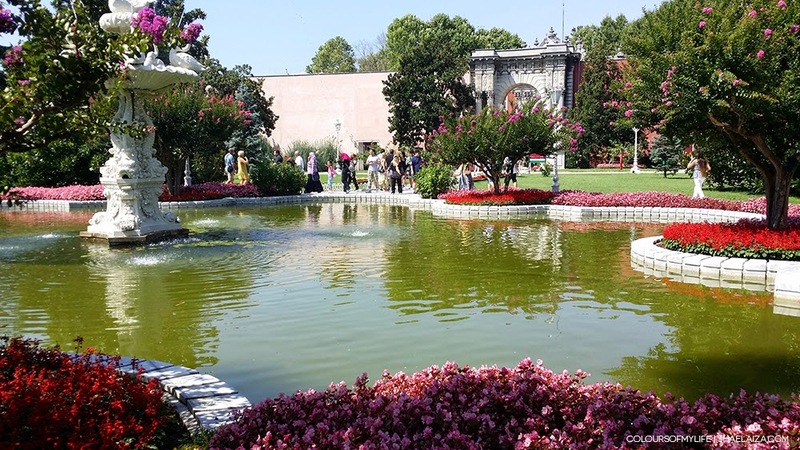 We were taken to Dolmabahçe Palace, Yildiz Park and Pierre Lotti Hill which were on the European side of Istanbul. 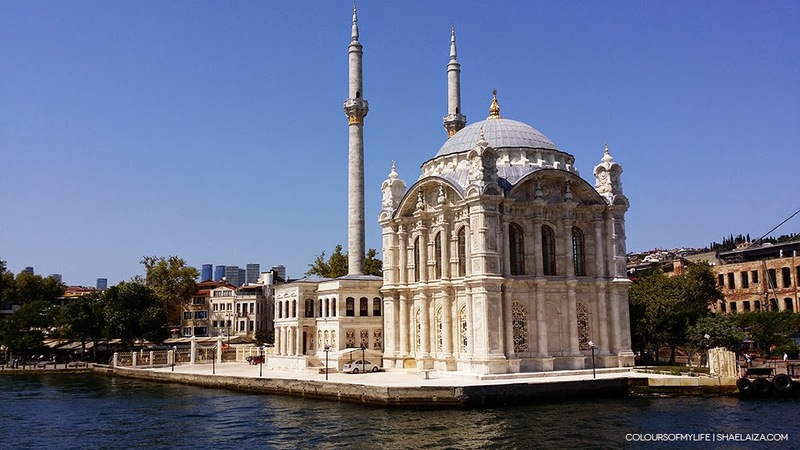 We also went on the 1-hour Bosphorus Strait Cruise and had lunch at Omar Restaurant, Sultanahmet Square. 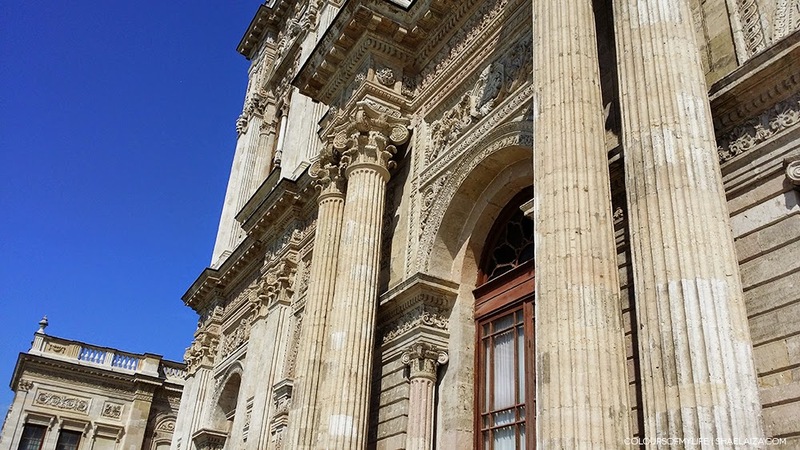 Dolmabahçe (Dolma-bah-chay) Palace was constructed between 1843 and 1856 by the Ottoman Empire's 31st sultan, Abdülmecid I, and it was the residence of his 5 successors as well. Yes, right until the end of the Caliphate in 1924. 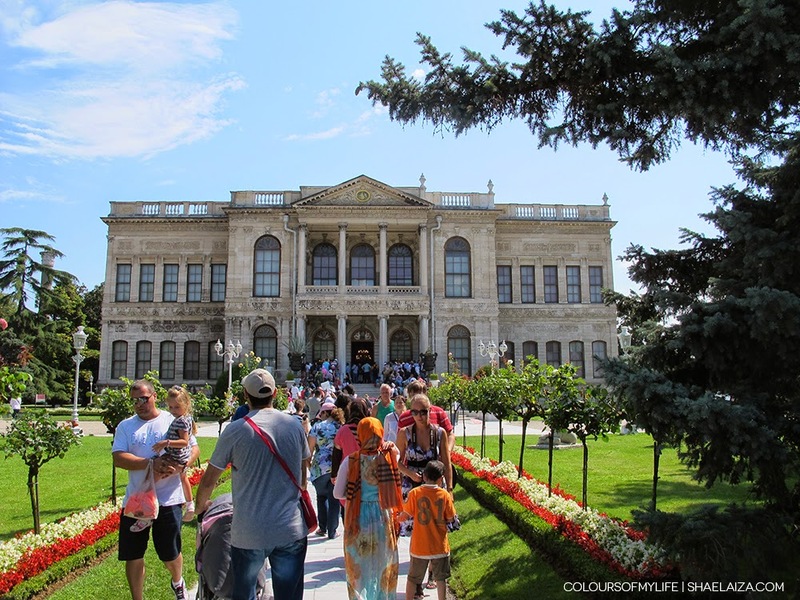 I would say this palace is a must-see because a) it's interior is stunning and b) it's symbolic of the Ottoman Empire's downfall and decline - the love of dunya (the worldly life) and the desire to emulate European ideals while its commitment to Islamic leadership waned, among other things. Mustafa Kemal Atatürk, the Republic of Turkey's first president, commonly described as the Father of Modernisation, restored the country's political and economic stability after decades of poor Ottoman leadership. Unfortunately, the empire's management of political and economic affairs in its final years left a terrible mark in Turkish history and it led to the secularisation of the country; Islam has been stigmatised in Turkey and until today it is associated with mistrust, conservativeness and incompetency when in fact it was true Islamic leadership that contributed to the rise of the Ottoman Empire and its vast success for almost 600 years. Talk about irony. 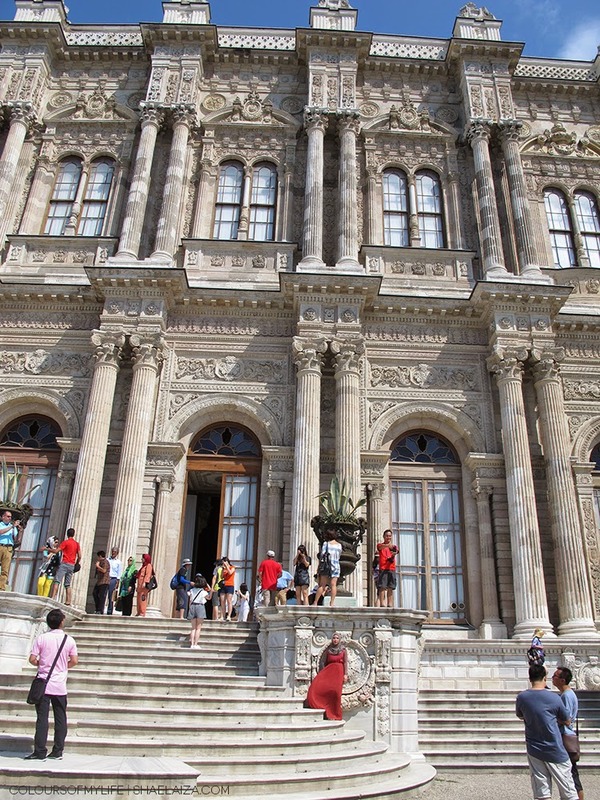 We weren't allowed to take photos inside but my first impression of Dolmabahçe Palace was a positive one. 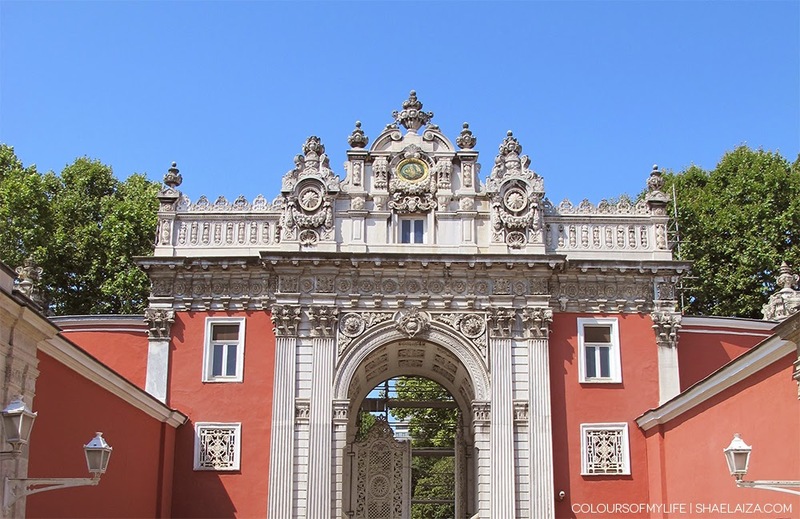 I do think it's very impressive and that was clearly the objective of building such a lavish palace but one cannot ignore the stark difference between Topkapi Palace and Dolmabahçe Palace. I would describe Topkapi Palace as a modestly grandeur architecture in comparison to the very elaborate and European Dolmabahçe Palace. However, the decadent lifestyle which is uncharacteristic of Ottoman leadership must have begun in the former for the latter to even be conceived as an idea. Summer blooms surrounded the pond at the palace grounds. 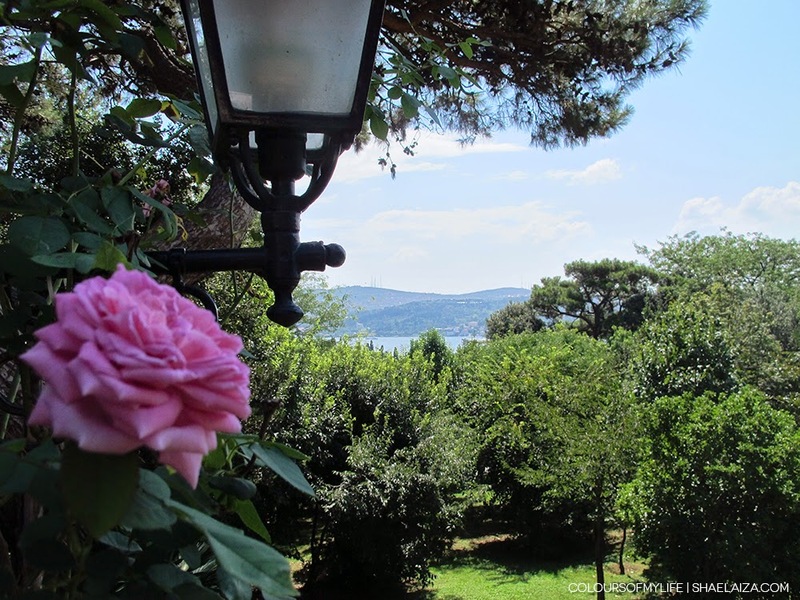 The Bosphorus Strait directly behind Dolmabahçe Palace provided a calming sea breeze and a lovely view. I admired the beautifully carved alabaster detailing which was part of the palace's exterior. A quick snap of the view from Yildiz Park. We stopped here briefly during our tour. It was so brief I didn't even have time to drink the lemon juice I ordered from the park's cafe. After Pierre Lotti and Yildiz Park, we adjourned to Sultanahmet Square where we had lunch at Omar Restaurant. The meal was included in our tour fees. 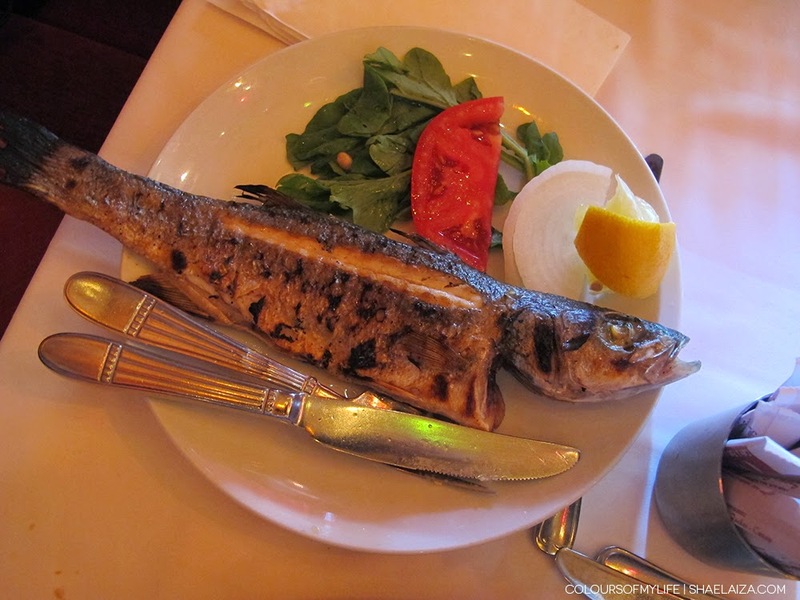 Apart from köfte and other types of kebabs, grilled fish is a popular Turkish meal. One thing I really enjoyed about Turkey was the healthy variety of food we were able to choose from. Yum! 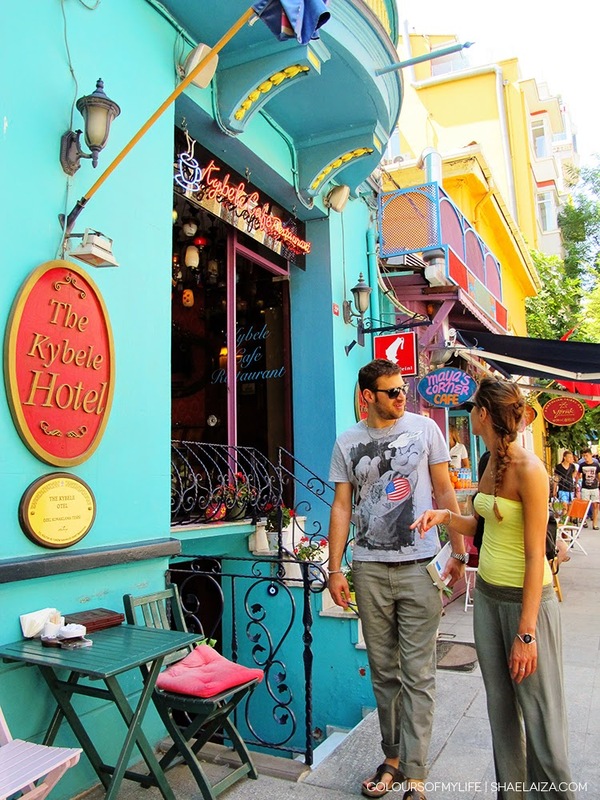 Trendy hotels on the other side of Sultanahmet district. Dolmabahçe Mosque was commissioned by the mother of Sultan Abdülmecid and it was completed in 1855. 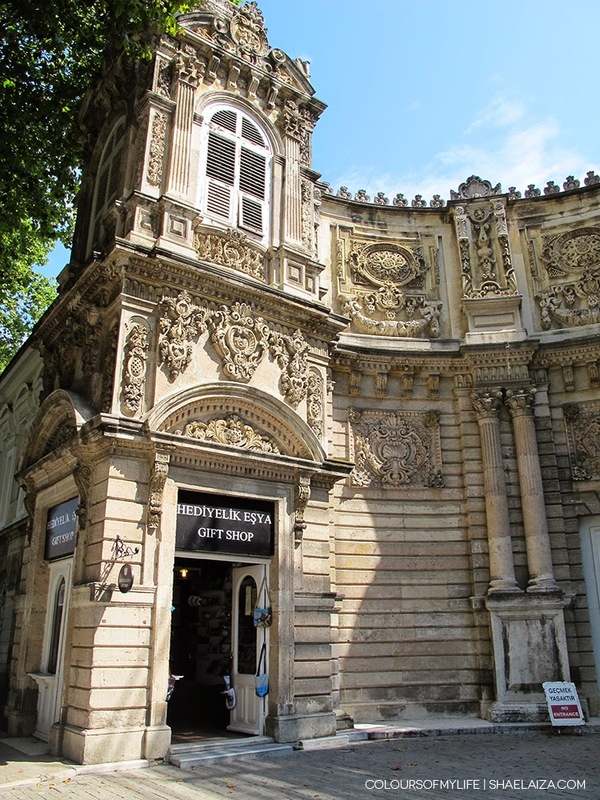 It is one of the ornamented mosques in Istanbul that was constructed in Baroque style. 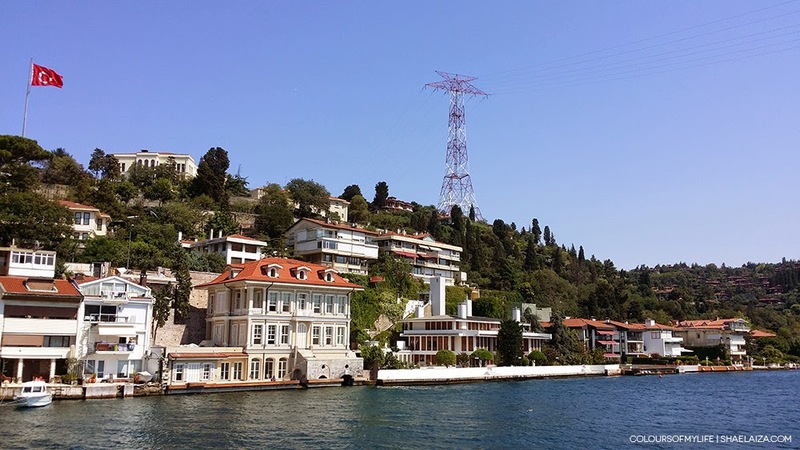 After the palace I would say the Bosphorus Strait Cruise was the highlight of the tour. We had the option of sitting inside the boat or out on the boat's deck. Of course I chose to bask in the sun :) Although I do think it would have been more enjoyable if they could have played Turkish music instead of the loud and terrible English pop playlist they had. 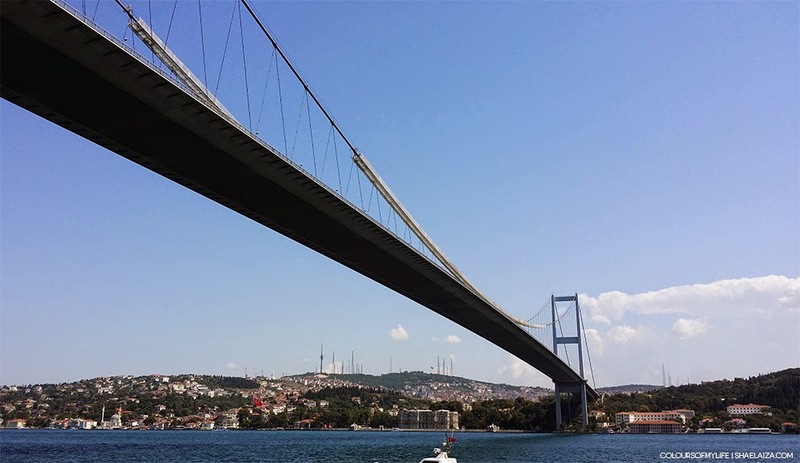 The Bosphorus bridge and clear blue skies. 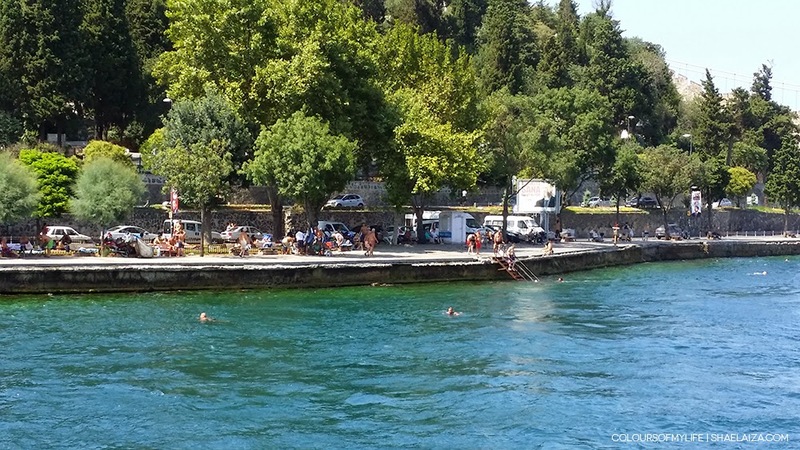 It was amusing to see the locals swim along the strait. I wondered if it was legal. Well, it looked like they had a lot of fun! After the tour we returned to our hotel and rested for an hour or so before meeting with a local Turkish girl I befriended over Instagram (ah, the joys of social media). I was very touched and thankful that she came all the way from the other side of town to spend time with me. Büşra took us to the popular and historical restaurant, Tarihi Sultanahmet Köftecisi Selim Usta, where we had the very delicious izgara köfte for dinner. 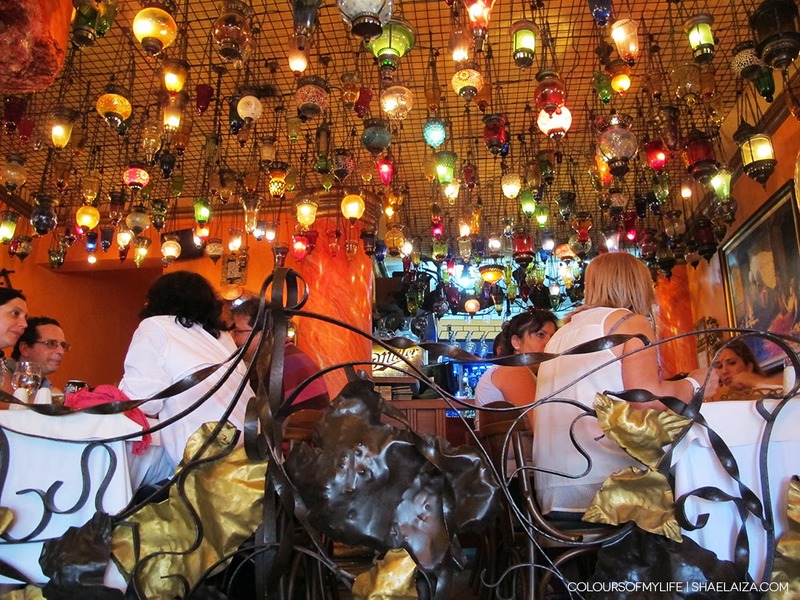 When you're in Sultanahmet you have to drop by this place and try it. It's right in the centre of Sultanahmet Square so it's easy to locate. For something sweet we adjourned to a nearby dessert café, Mado, where we were spoilt for choice. 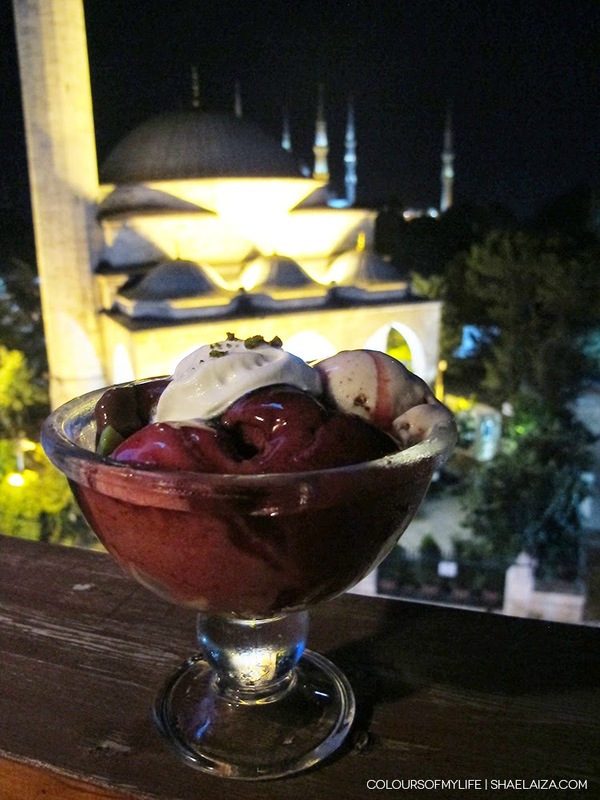 They had a huge menu with all sorts of ice cream and Turkish desserts. Needless to say, we had a hard time choosing what we wanted. 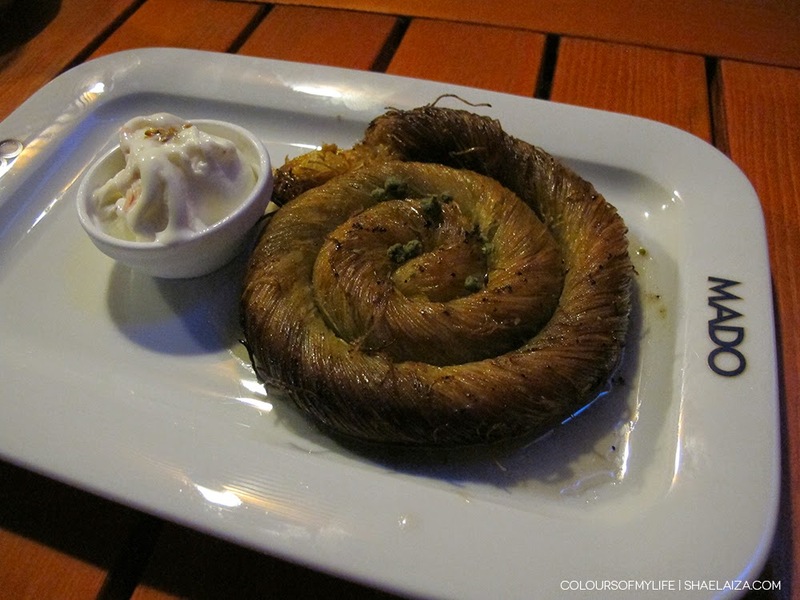 I decided to share this swirly Baklava-like dessert with Büşra. Meeting Büşra was definitely one of the highlights of my trip and thanks to her I gained a better understanding of the Turkish social context. I highly suggest making contact with a local if you plan on going to another country you're not familiar with. There are many ways to do it these days - be creative but be safe too! Befriending a local makes your stay in a foreign place more meaningful because you get a perspective on what it's like to live there. It's nice to be able to remove our "tourist goggles". You can also find out where are the best places to shop, eat and visit. Stuff that's not in the guide books. Plus, you'd be surprised how much you might have in common with someone who grew up in a different country. Büşra and I still keep in touch almost daily until today. When I was in Istanbul I commented to Büşra that I wondered why it was common for Muslim Turks to drink alcohol openly and have tattoos given the country's rich Islamic history (not that I believe in discriminating against people who drink alcohol and have tattoos!). She told me not many students would fast during Ramadan and living together before marriage is also becoming more acceptable as many choose to disassociate themselves from the Islamic faith - a way of thinking and life they have misunderstood because secularisation is indeed a process, one that began in 1924 in Turkey. I'm certainly not an expert in politics and history but the current local perception of Islam in a country where the final Caliphate was established is quite unfortunate. 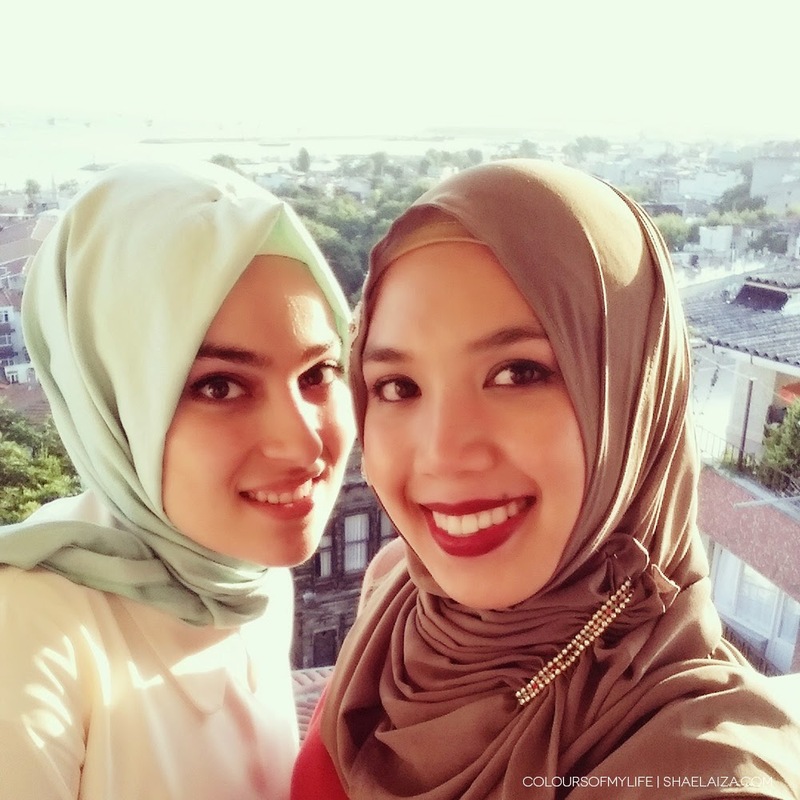 Many Turks protested when Erdoğan lifted the ban on hijab in schools, universities and public offices. It's not like he's enforcing hijab on girls and women - he's merely giving them the choice they deserve. This strong resistance or dislike towards Islam is not something I'm happy about, not because I don't believe people have the right to reject Islam but because it affects those who *choose* to be practicing Muslims. But nothing happens without God's will and Islam is still very much alive in many other ways. Different Turks have different things to say about President Erdoğan. I'm speaking as a layman and an outsider but I could tell the secular Turks that I had a chance to converse with were not very favourable of him (some say it's out of fear that Turkey might turn into another Iran) whereas the practicing Muslims cannot stop singing praises about him. It's interesting to note that he won the recent presidential elections by 70 - 80% despite it all. There is surely more to it that I am unaware of. I have a lot to say but I shall spare you all the "boring" details :) More posts on Turkey to come, God willing. Wow, so lucky to have gone to Istanbul. Wish I was back there! Your outfit is on point mashaAllah.